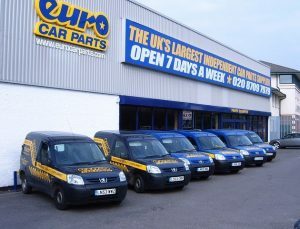 Euro Car Parts, the UK’s leading distributor of car parts with over 200 branches nationwide, has chosen Epiphany to handle its SEO, PPC and display advertising activity. Jaywing-owned Epiphany is helping Euro Car Parts to raise brand awareness and reach new audiences. The agency has already begun work and says the revenue generated from Euro Car Parts’ PPC campaign has been its "most profitable ever". Paul Baylis, head of communications & PR for Euro Car Parts, said: "We’re really excited to be working with Epiphany as we look to reach new audiences and create an even better consumer experience. “Giving one agency the responsibility for both natural and paid search is a good way of optimising performance, and we’re delighted that Epiphany has already made our account more efficient and bring spend down whilst generating more revenue. Epiphany’s managing director Tom Salmon added: "We see huge potential in what we can deliver for Euro Car Parts, and it’s encouraging to see such fantastic results from PPC already. Epiphany has picked up other briefs recently from Oxford Open Learning and Anglian Home Improvements.